The promoter of the company, V.G. Siddhartha, along with certain other parties has signed a definitive agreement to sell their entire stake in Mindtree Ltd to Larsen & Toubro for a consideration not exceeding Rs 3,269 crore. Shares of Coffee Day Enterprises extended losing momentum for the second straight session on Wednesday after its promoter sold stake of Mindtree to Larsen & Toubro. 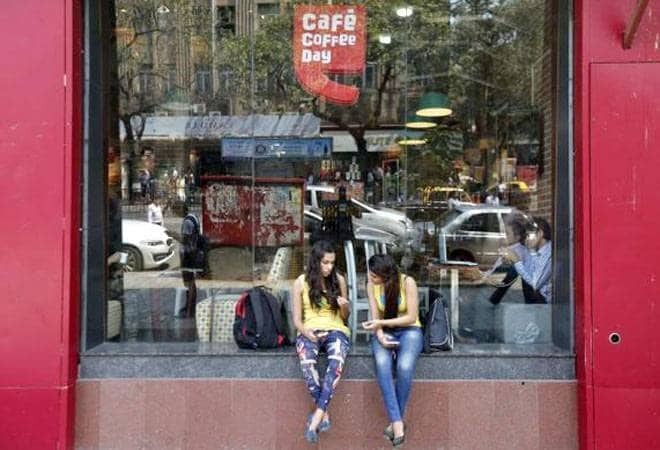 Shares of Coffee Day Enterprises extended losing momentum for the second straight session on Wednesday, declining 6 per cent in past two days, in an otherwise firm market after its promoter sold stake of Mindtree to Larsen & Toubro. Coffee Day Enterprises, parent company of the Coffee Day Group, which owns Cafe Coffee Day, intends to use fund proceeds to pare down the Coffee Day Group's debt and to expand its flagship coffee business. Continuing its losing streak, shares of the company declined as much as 2.56 per cent to touch an intra-day trade low of 290.25, after opening lower against previous close price of Rs 297.90. On Tuesday, the scrip closed trade at Rs 297.90, down 3.79 per cent, on the BSE. On the National Stock Exchange, the stocks of the company were trading at Rs 292.10 apiece, down 2.39 per cent. It touched an intra-day high and low of Rs 301.60 and Rs 290, respectively. As per data available with exchange, as much as 21 thousand shares have changed hands on the counter on the BSE against two-week average of 40 thousand shares. Bucking the trend, shares of Mindtree and Larsen & Toubro were trading in positive terrain. L&T shares were up 1.34 per cent at Rs 1657.90. During the day's trade so far, it touched an Intra-day high and low of 1663.45 and 1618.20, respectively. Mindtree shares, after opening marginally higher at Rs 965.80, just one points up from the previous day's close of Rs 943, extended day's gain later in the day. It gained as much as 2.41 per cent to touch an intra-day high of Rs 965.80. The board of Mindtree is scheduled to meet today to discuss a share buy-back proposal and the way forward post L&T's bid.